In the late ’90s, the adventure game genre was dying. 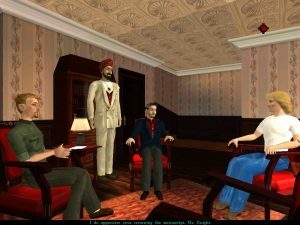 LucasArts’ fantastic Grim Fandango had more or less flopped, Sierra’s latest entries in the King’s Quest and Quest for Glory series were practically in different genres, and titles from competing developers were few. 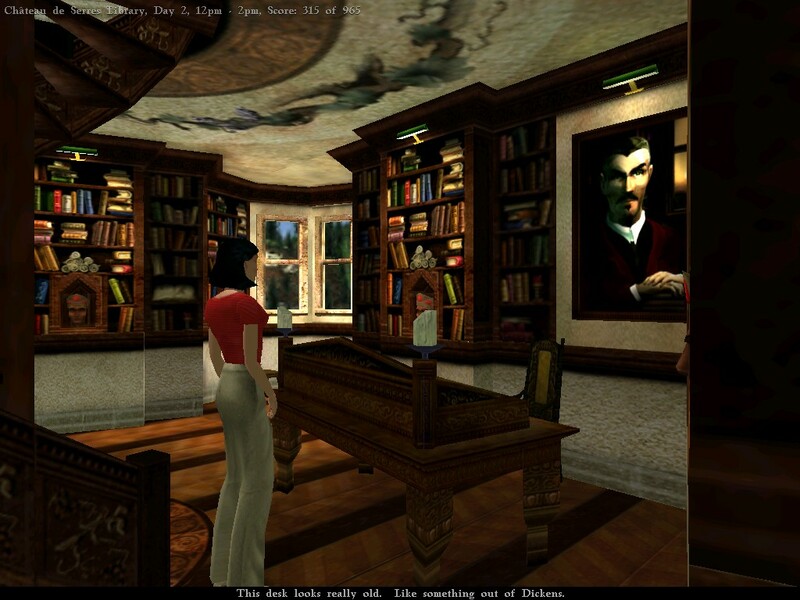 And yet, those that remained faithful heralded the coming of the third Gabriel Knight game. After all, the previous two titles were critically acclaimed hits that sold extremely well, plus it would be fully in 3D. Surely this would be the game to save the genre! 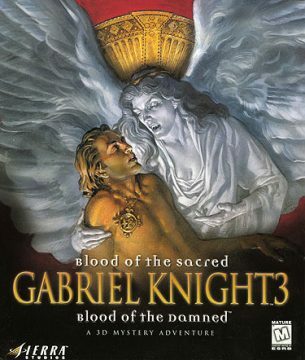 Instead, the third Gabriel Knight game, subtitled Blood of the Sacred, Blood of the Damned, is jokingly referred to as the title that nailed adventure gaming’s coffin shut. 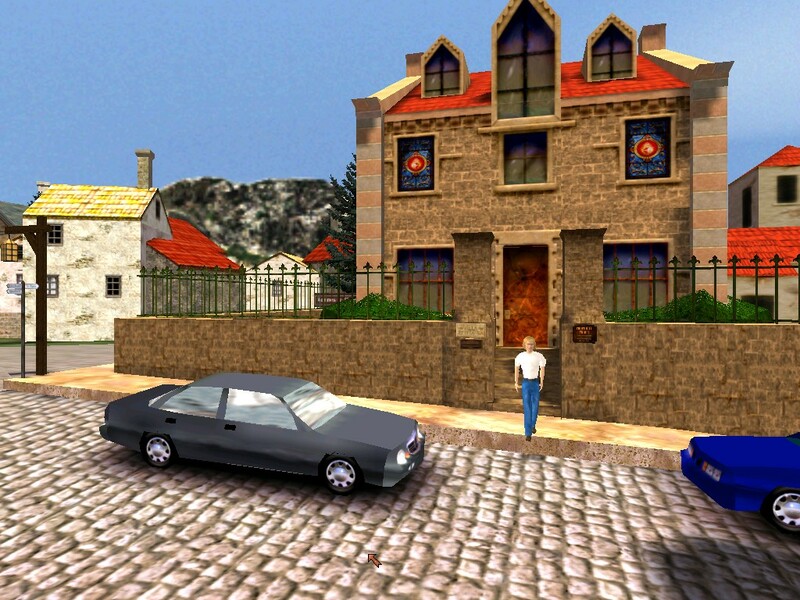 This is a somewhat unfair assessment of the situation, because it’s really not a terrible game at all, but the fact is that it was also the last true adventure title published by Sierra – the offices were essentially shut down after its release. As with the first game, the prologue is told via a comic book enclosed in the packaging. Gabriel and Grace have been invited to the house of Prince James, the exiled monarch of Scotland. During their visit, Prince James’ youngest son, a mere baby, is swept away during the night. Gabriel hops on the train and follows the kidnappers to the small French village of Rennes-le-Chateau. Although it may seem like a tiny little place out in the middle of nowhere, Rennes-le-Chateau has strong connections to the Holy Grail legend, which in turn is intertwined with the history of Jesus Christ. 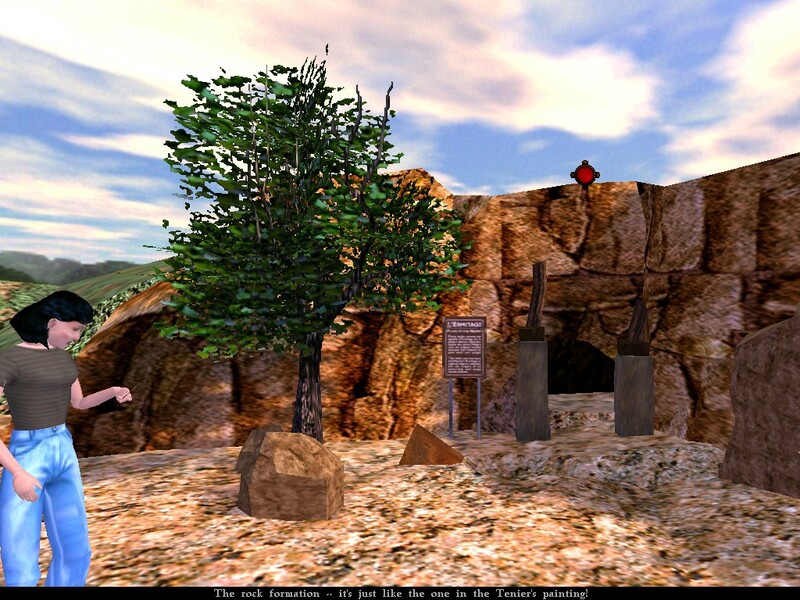 As luck would have it, a tour group is in town, with each participant coming from a different part of the globe to hunt for the village’s treasure. Included in this group is, oddly enough, Detective Mosely, who claims to simply be vacationing, but whose motives aren’t entirely clear. Once Grace shows up on the next day, the action picks up as two of Prince James’ men are found murdered, completely drained of blood. Naturally, Gabriel expects the supernatural and begins to investigate the possibility of vampires. The hero returns. Once again voiced by Tim Curry. Grace once again aids her “friend” and continues to explore her conflicted feelings for Gabriel. Voiced by Charity James. Mosely just coincidentally shows up in France. He acts strangely, but of course, he’s willing to help. Apparently he’s also developed a bit of a crush on Grace. Played by David Allen Thomas Jr.
A native to France and leader of the tour group. Naturally, Gabriel finds himself immediately attracted to her. Played by Jennifer Hale. One of the tour group members, Emilio is often quiet and keeps to himself. 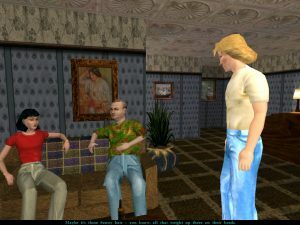 During Gabriel’s investigations, he learns that Emilio has no fingerprints, which is pretty odd. Played by Billy West. The owner of the local winery seems like a nice guy, except for his creepy house. Played by John de Lancie. 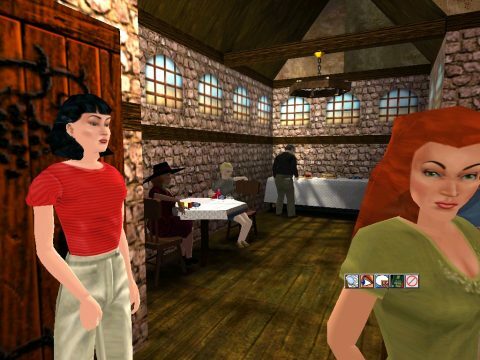 In conducting research for this game, Jensen integrated elements from Michael Baigent, Richard Leigh, and Henry Lincoln’s controversial book Holy Blood, Holy Grail, which examined the possibility of Jesus having children with Mary Magdalene. It also suggests that the Holy Grail may simply be a metaphor for the bloodline of Jesus Christ, and that his descendents mingled with the nobles of Southern France to spawn the Merovingian dynasty. The story also involves the legendary Knights Templar and the Priory of Sion, both involved with the mystery behind Christ’s lineage, as well as the tale of the Wandering Jew, who was doomed to near immortality after taunting Christ on the crucifix. 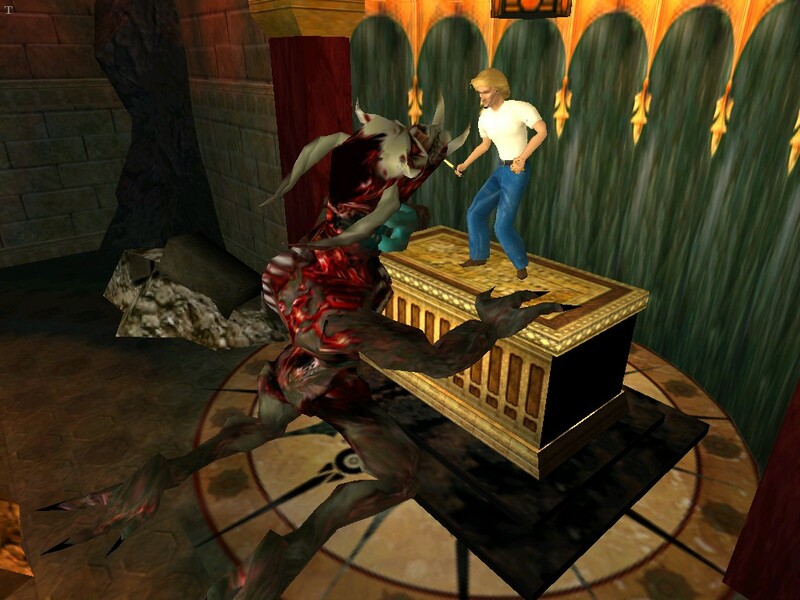 The plot also treads over some of the same ground as Dan Brown’s 2003 novel The Da Vinci Code, although it can hardly be faulted for that, since Gabriel Knight 3 was released years prior to the book’s publication – Brown and Jensen just simply happened to read the same book. 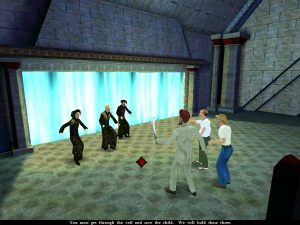 There’s also some vague crossover with Revolution Software’s Broken Sword, although they’re still both quite different stories. What can’t be excused is the game’s final chapter, where Gabriel must pass a series of tests that are just a little too close to the trials from the end of Indiana Jones and The Last Crusade. And compared to the tight integration of voodoo mythology and werewolf lore in the previous games, the vampires barely play a part in the story at all – they just kinda show up right at the end. All things told, it is fascinating stuff, but the story doesn’t really pick up until the third chapter, and just meanders up until then. 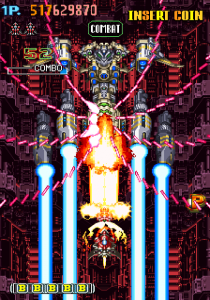 The previous games have been a bit slow, too, but they still managed to be somewhat engrossing. The writing, too, isn’t quite up to par – it’s fun to see Gabriel, Grace and Mosely interact with each other, even though it’s odd that Mosely now apparently has a crush on Grace, but the secondary cast is largely made up of ill-defined nitwits. That may be the point, that anyone who would come on vacation to a small town to search for a mystical treasure may very well be loony, but it doesn’t make for interesting storytelling. Like The Beast Within, the player alternately controls both Gabriel and Grace. 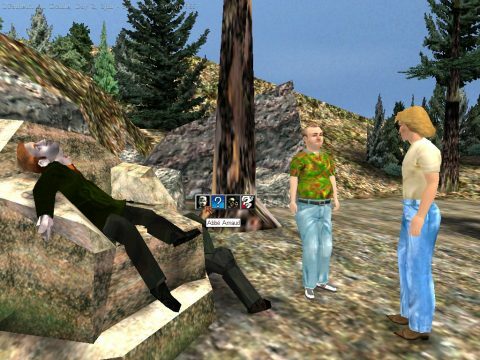 The story takes place over the course of three days, which are in turn subdivided into “time blocks,” although it ultimately works the same way as the previous games – walk around and investigate stuff until you find the triggers for the next time block. 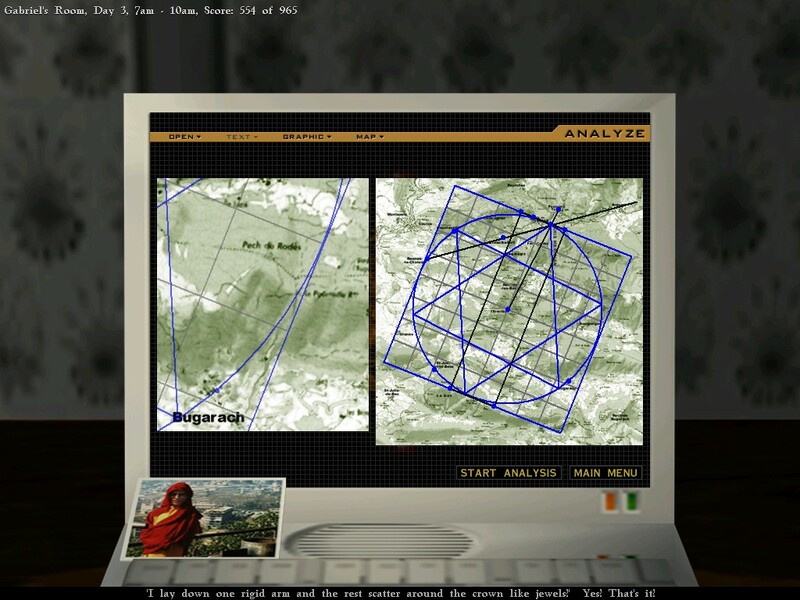 Gabriel spends most of his time hunting for clues about the missing baby, as well as the treasure, while Grace researches the history of Rennes-le-Chateau and its connection with the Grail legend. 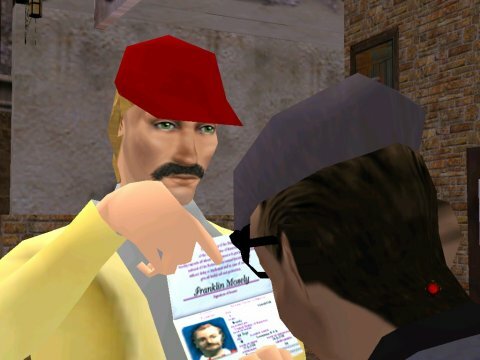 For Gabriel, this largely involves stalking people, breaking into their rooms to shuffle through their stuff, and taking fingerprints, which are then scanned into SIDNEY, the helpful computer database. Most of this is preparation for the denouement near the end, where Gabriel must accuse some of the guests for a series of crimes. 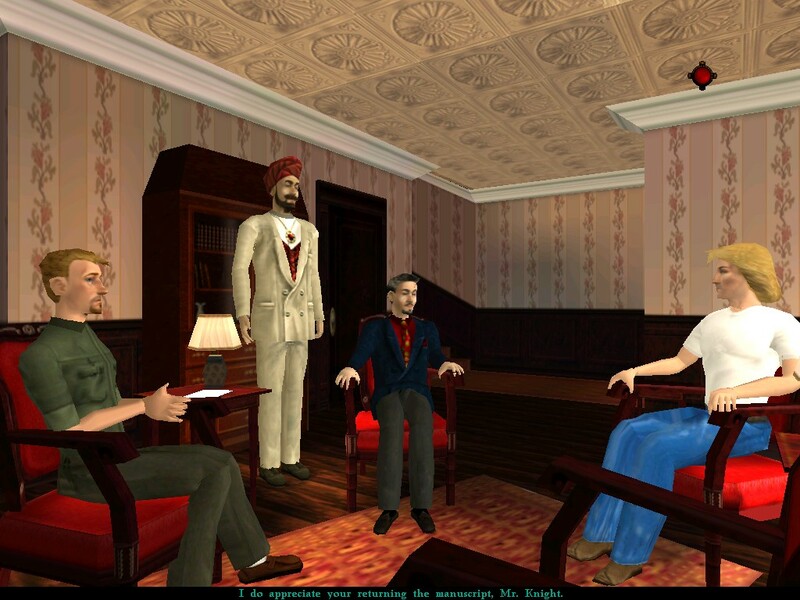 Although successful completion of this scene isn’t required to finish the game, it does greatly elucidate the plot. Grace, on the other hand, spends much of her time trying to solve the riddles of a thirteen verse poem known as “Le Serpent Rouge” by analyzing maps, symbols, and other various items found throughout the adventure. You then use these clues to draw points on a map through the computer system. All of this lies somewhere between intriguing and tedious, depending on how much you like rote detective work, but it’s a fair bit better than all of the click-happy chapters from The Beast Within. Of course, the most infamous puzzle in the game – highlighted by this Old Man Murray article – is the one where Gabriel needs to impersonate Mosely in order to rent a moped. The first step is to steal his passport, which is done by placing a piece of candy in the hallway and snagging it from his pants while he’s busy unwrapping the treat. This in itself is weird, but not the oddest part of the puzzle. Anyway, Gabriel and Mosely look nothing alike. The logical step would be to find something to take a photo of Gabriel and then replace in the passport, but no, that would be too easy. (Strangely, you actually get a computer that makes fake IDs, but that doesn’t happen until later.) So, the first step is to steal his yellow jacket. Next, you need to hide the fact that Gabriel isn’t bald, so you need to find a hat. Then you grab a magic marker and draw a mustache on the passport photo to obscure the face. Now, Gabriel himself doesn’t have a mustache either, so you need to find a local alley cat, stick a piece of masking tape on a hole in a door, spray the cat with a water bottle in order to make it run through said hole, pick up the cat hair stuck to the tape, and then apply it to Gabriel’s face using a packet of syrup found in the dining room. 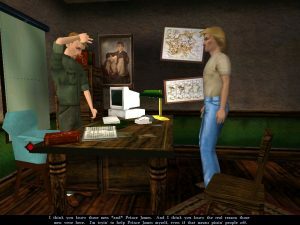 This kind of crazy, backwards hyper-logic might fly in a cartoonish game like Day of the Tentacle, but in Gabriel Knight, which is vaguely grounded on realism (supernatural elements notwithstanding), it comes off as completely absurd. Furthermore, this puzzle is right near the beginning – undoubtedly most of the people playing this game just gave up right here. Members of the development team have even proclaimed that they hated the puzzle, but they just didn’t have time to rework it. A wiser staff would’ve just cut it out entirely. 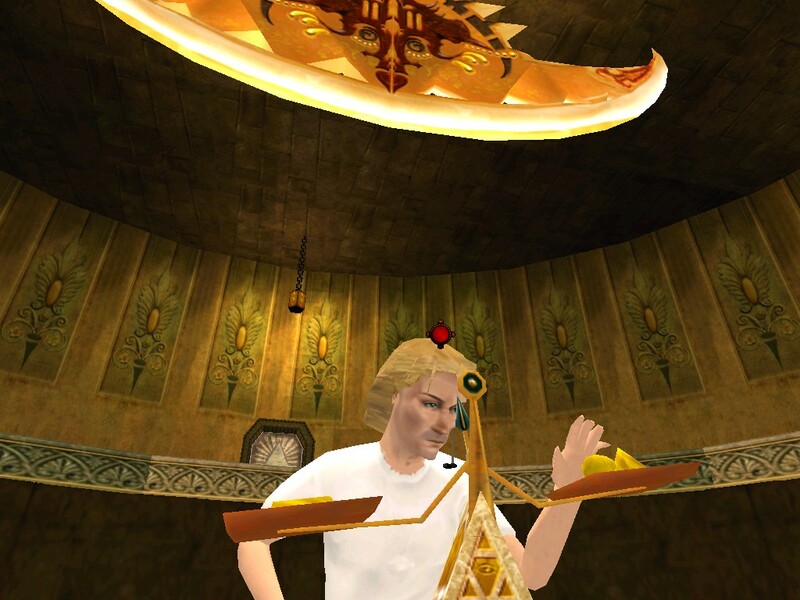 It’s more than just the puzzle design that’s suspect – the technical aspects just aren’t up to par either. Gabriel Knight has now gone full 3D, with the gamer controlling both the cursor and the camera. You move the camera around the environments, either by the keyboard or by holding down the mouse button and moving it around. When you want Gabriel or Grace to interact with something, you point to it and click on it, bringing up a handful of context sensitive icons. Although you can technically click around the screen to make your character walk, it’s not really needed – if they’re off-screen, they’ll warp to the camera’s location anyway, and you can make them instantly jump from place to place with the Escape key. In other words, it’s much closer to the Tex Murphy games like Under a Killing Moon than it is to other 3D adventure games like Grim Fandango. It’s filled with its own issues though. Indoor navigation isn’t much of a problem, but when wandering around outside, you’ll often hit invisible walls to signify that you need to make your character walk to the next area. The camera itself moves too quickly, and you need to utilize the Control and Shift keys in order to tilt the camera, strafe, or change elevation. The visuals haven’t exactly aged well, either. 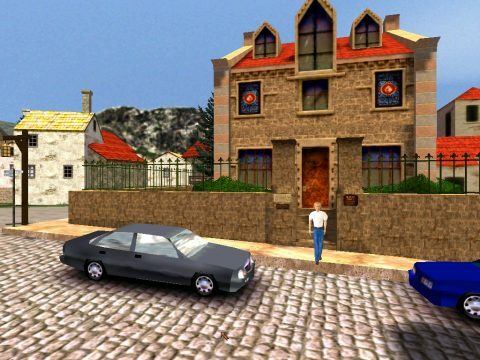 The textures are relatively decent, at least in the indoor sections, but they’re stunningly nasty in the many outdoor scenes, as the geometry is very angular and unrealistic. The characters come off far worse. The animations are stilted and robotic, and only the lip-synching looks anything even approaching natural. 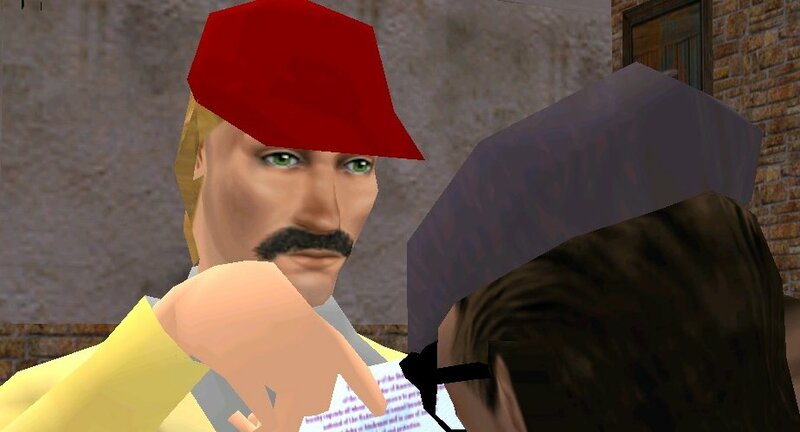 One could simply write it off as being a product of its era – after all, this was only released a year or two after the original Half-Life and Unreal – but those were action games that didn’t necessary focus on drama or dialogue. 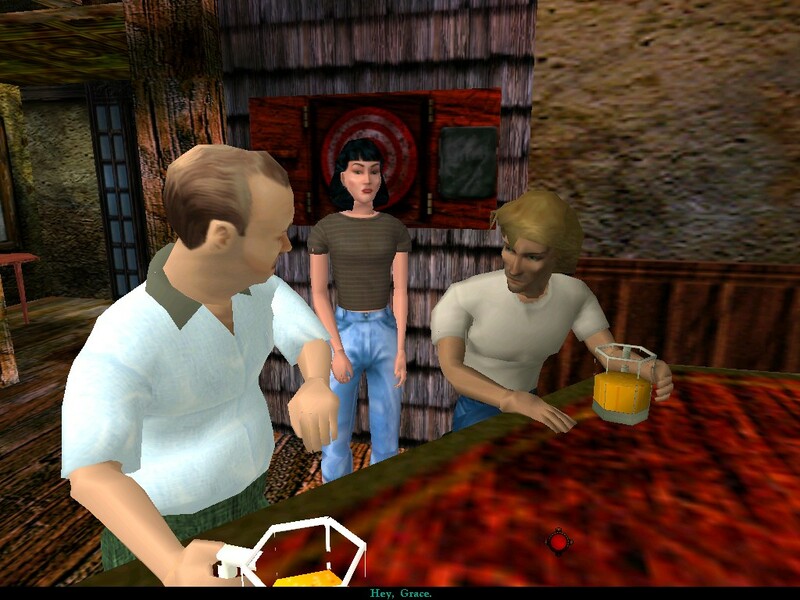 No matter the way you look at it, the technology used here just wasn’t good enough for this type of adventure game. Even the voice acting isn’t quite up to the series’ high standards. Tim Curry returns as Gabriel Knight, but his acting seems off even compared to the first game, with his accent even more overdone than before. New actors take on the roles of Grace and Mosely, and as sound-alikes, they do a pretty decent job. The rest of the cast is filled with a variety of accents, and waver from excellent to awful. Overall, the acting is just not nearly as consistent as the first game. The soundtrack is supplied once again by Robert Holmes, but he is joined by David Henry. The music is a bit sparse, and a few songs are reused over and over to the point where they become incredibly repetitive, but there are still some outstanding pieces, particularly the underused title theme, featuring a piano melody backed by an acoustic guitar. So it’s a bit rough to say that Gabriel Knight 3 killed the adventure game genre, but everything – from its structure to its writing to its puzzles – is sufficiently lacking compared to the other games, and its troubled development (the title was delayed for over a year) obviously didn’t help the final product. 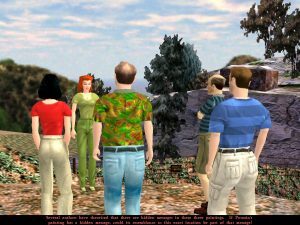 The resolution makes the story pretty worthwhile overall, but it’s hardly one of Sierra’s most shining moments. Too bad, too – although the plot finishes on a high note, the final scene ends on a cliffhanger, with the future of Gabriel and Grace’s relationship in question, which, due to the death of the studio, was never explored further.